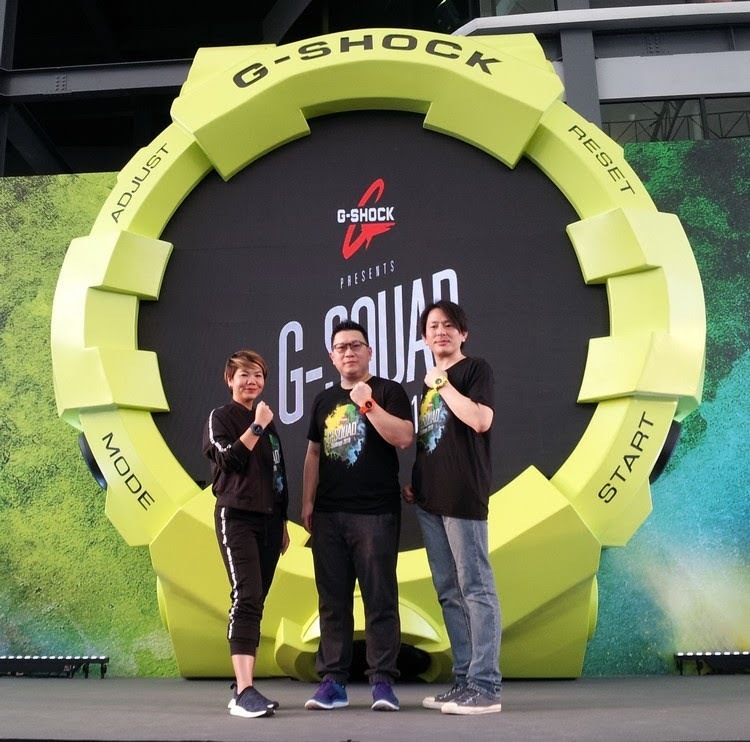 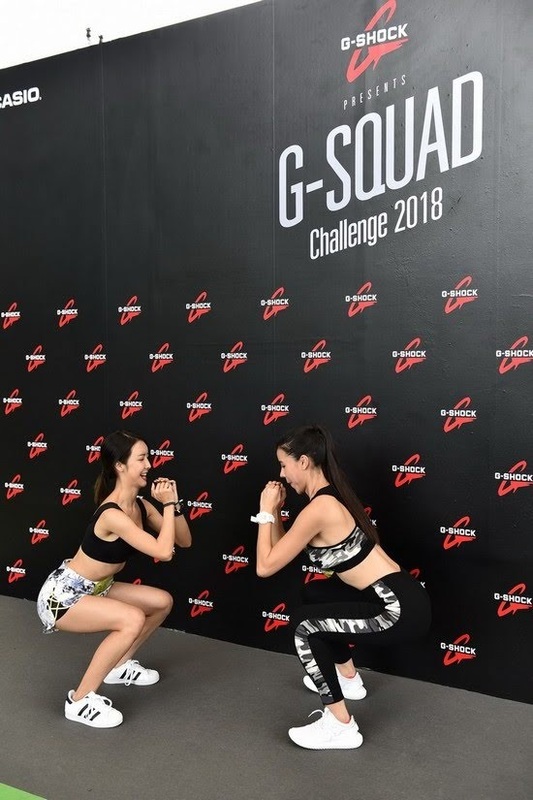 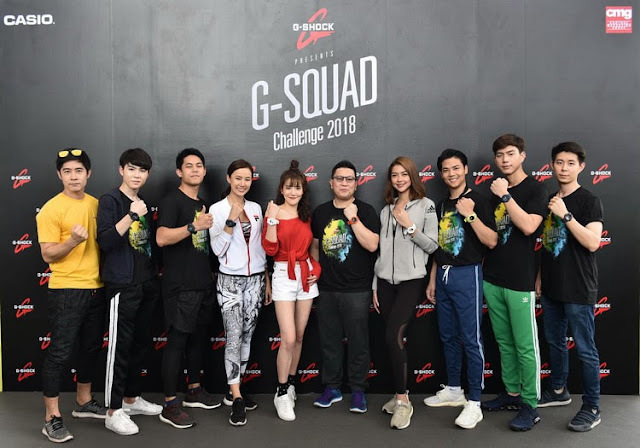 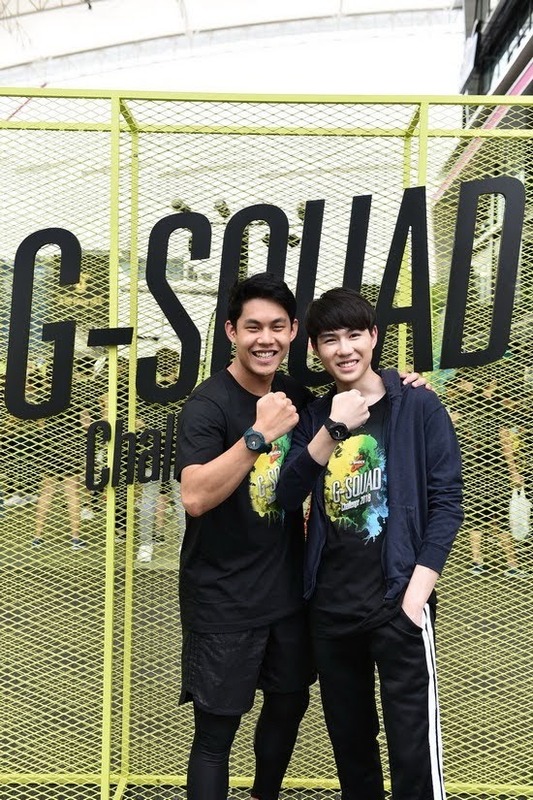 “G-Shock G-Squad Challenge 2018”, organized by Central Marketing Group (CMG), is the biggest squat challenge competition in Thailand. 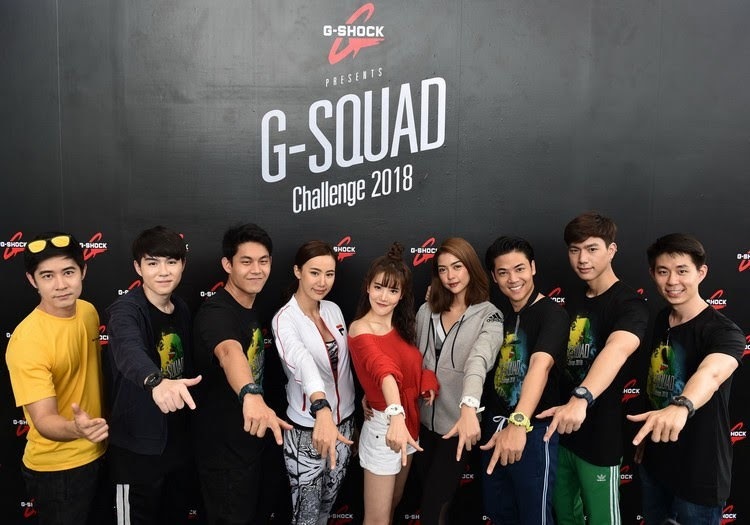 Up for the winners’ grabs were THB 100,000 in cash prizes and 80 Activity Tracker G-squad series watches worth over THB 500,000. 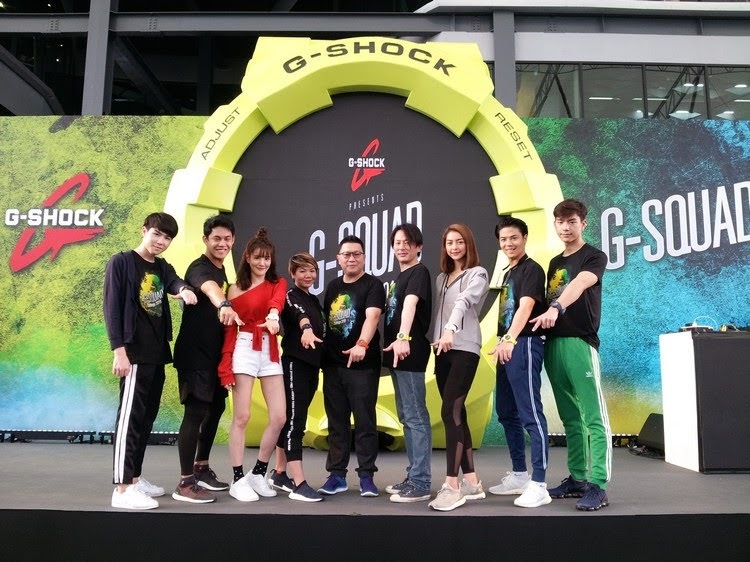 The competition attracted more than 1000 contestants among which famous actors and actresses such as Grand-Kornpassorn, Ak-Akarat, Yingying-Sarucha, Phun-Chitnarong, Bright-Noraphat, Plengkwan-Nattaya, Min-Titipat and Na-Napien. 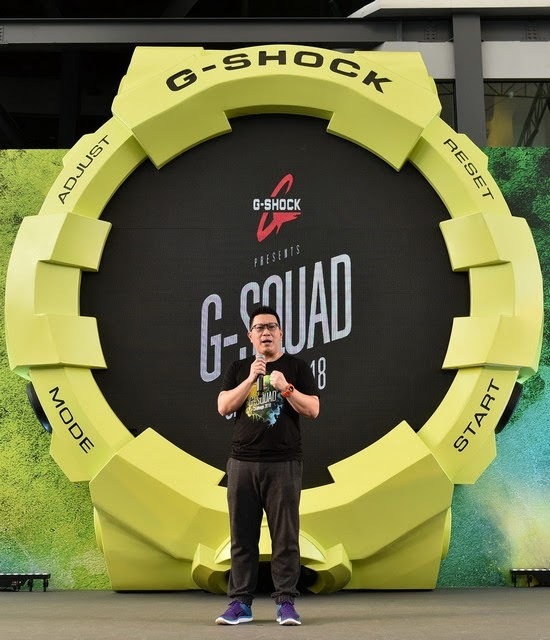 Mr. Viroj Sukpitak , Senior Vice President of Casio & Hardline said “I would like to thank everyone for joining us here today. 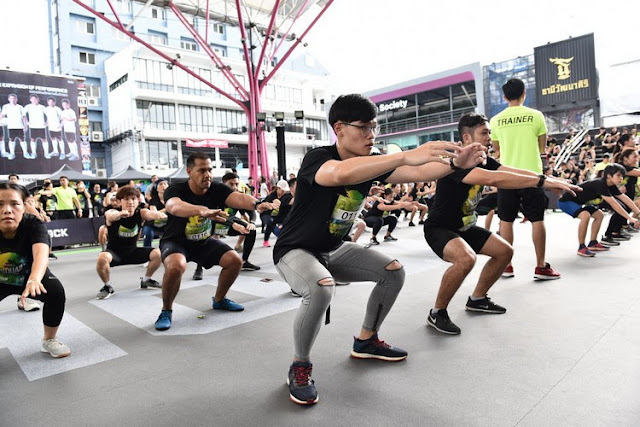 This important event of the year brings together people of all ages who love exercising and living a healthy life style. 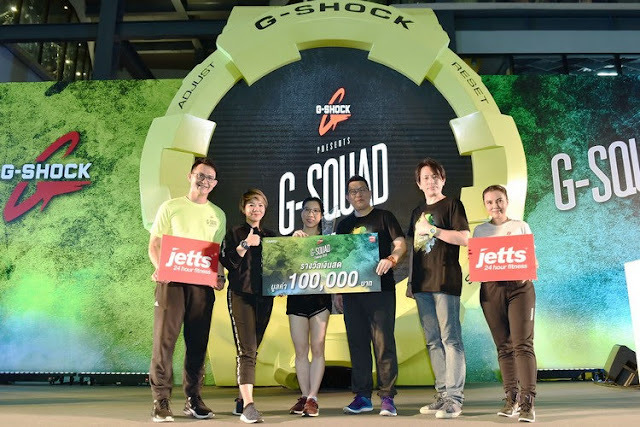 The top winner will get a trophy, a THB 100,000 cash prize, an Activity Tracker G-Shock G-Squad series watch as well as a free one-year membership at Jett Fitness. 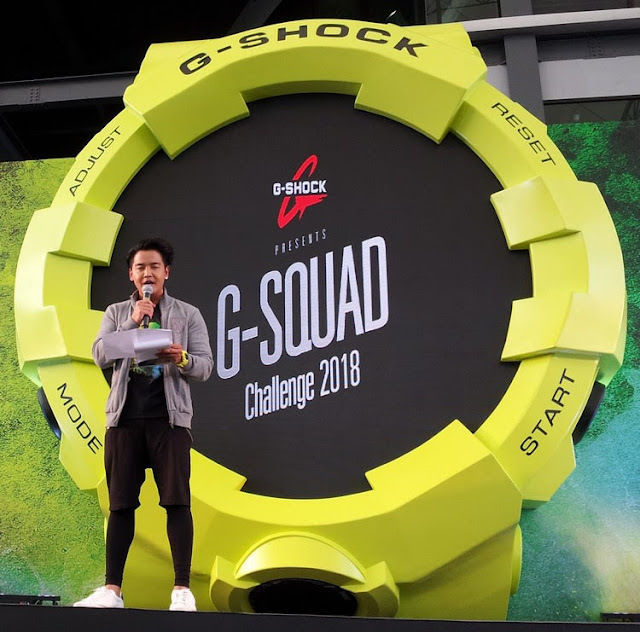 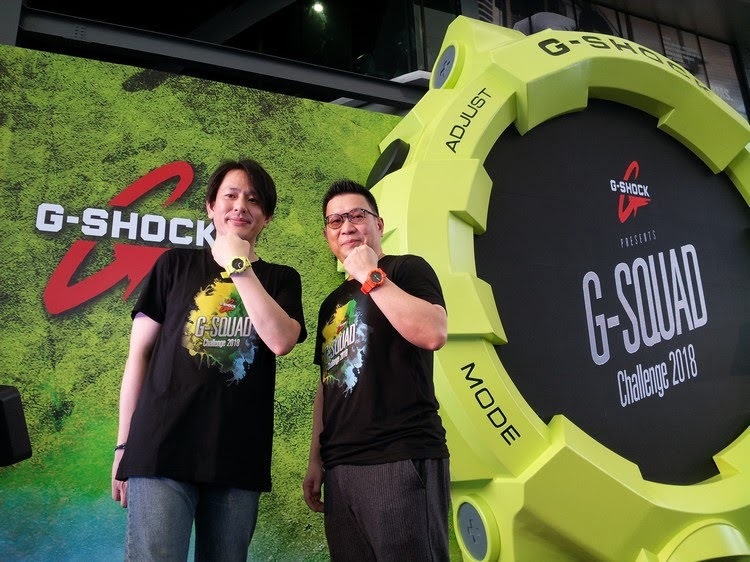 80 other finalists will receive an Activity Tracker G-Shock G-Squad series watch each. 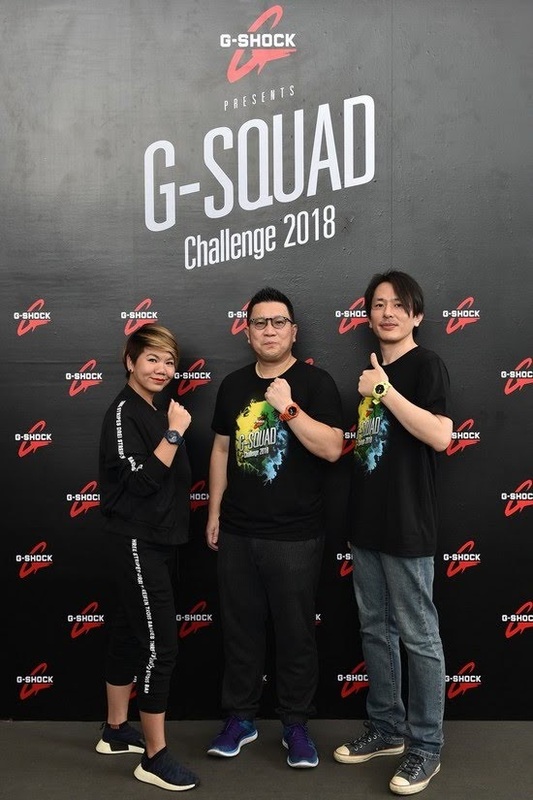 Equipped with an innovative 3-axis acceleration sensor and a battery who does not need charging for 2 years, this model stands out above all the other Activity Tracker devices. The Activity Tracker G-shock G-Squad is also fully compatible with the G-Shock Connected application. 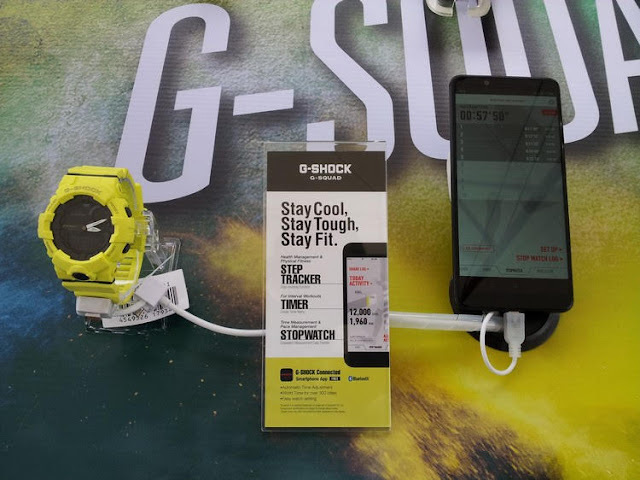 At a simple touch of the mobile screen people can check their activity history and activity map details. 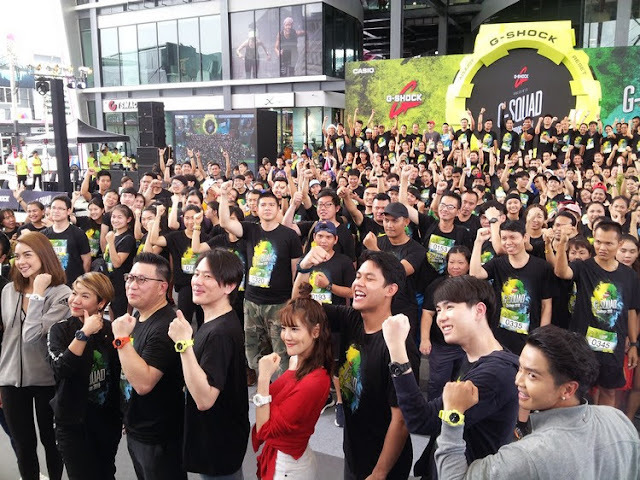 Users can conveniently count their steps, the number of burned calories or create timed workouts. 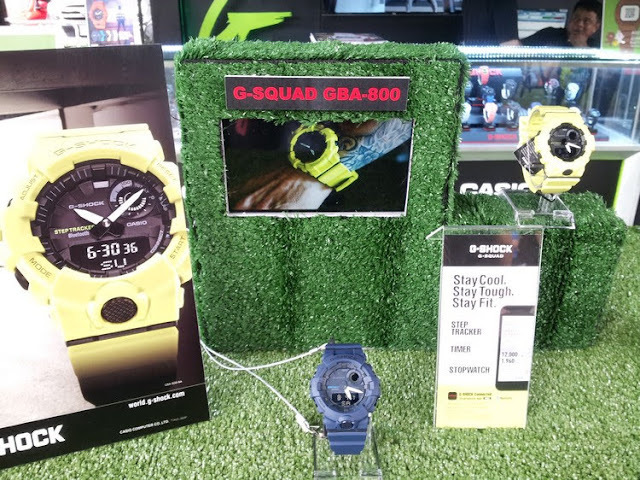 All these features make the G-Shock G-Squad the perfect device for health-conscious people and fitness lovers”. 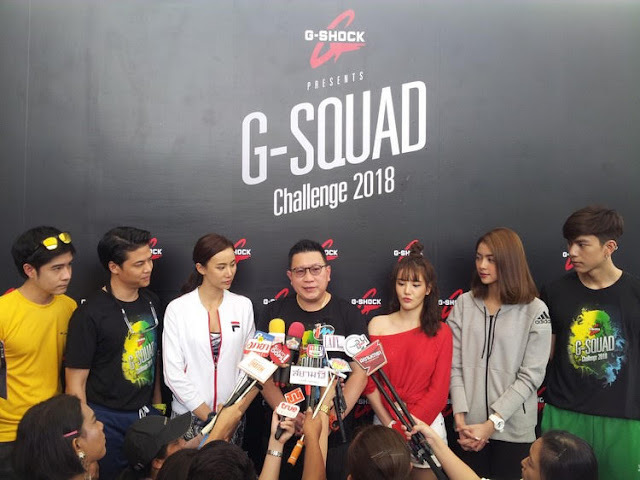 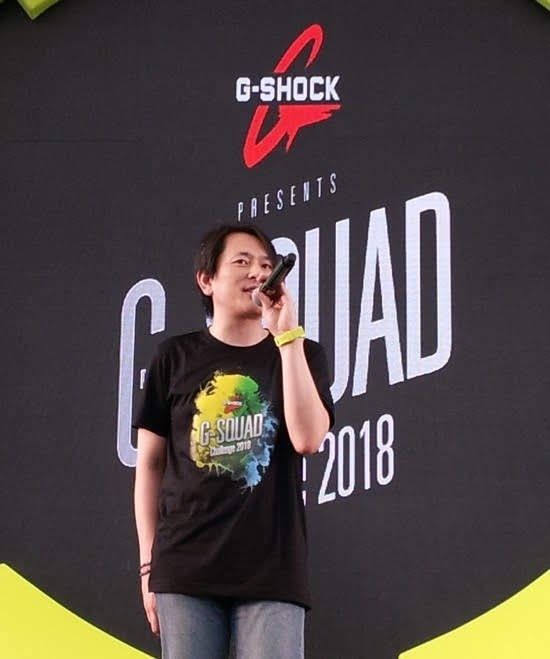 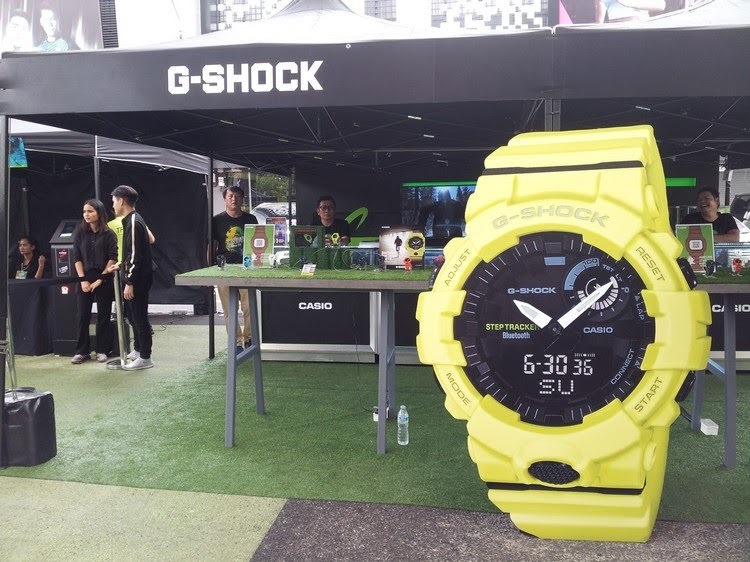 The “G-Shock G-Squad Challenge 2018” welcomed the contestants to a day filled with fun activities. The participants warmed up to the cool tunes played by DJ Arthur and a team of shapely trainers from Jett Fitness. 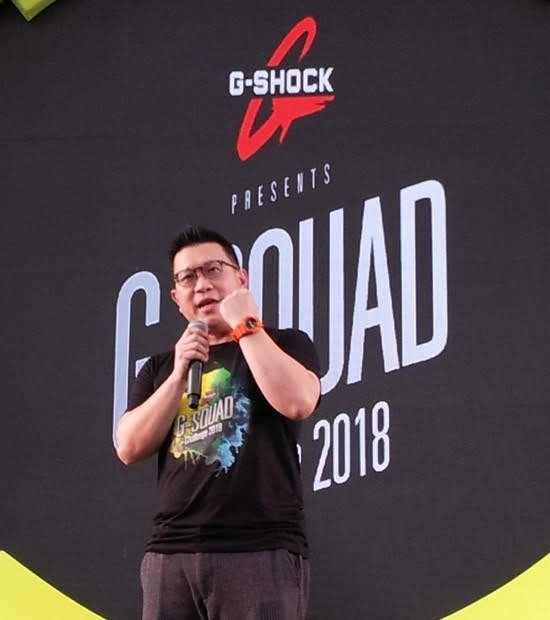 With adrenaline levels up, the event highlight started. 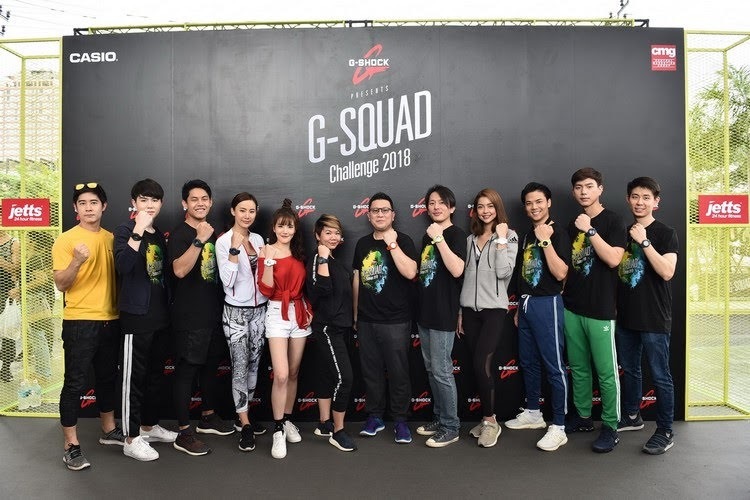 Contestants including Grand-Kornpassorn, Ak-Akarat, Yingying-Sarucha, Phun-Chitnarong, Bright-Noraphat, Plengkwan-Nattaya, Min-Titipat and Na-Napien took part into the eagerly contested squat competition. 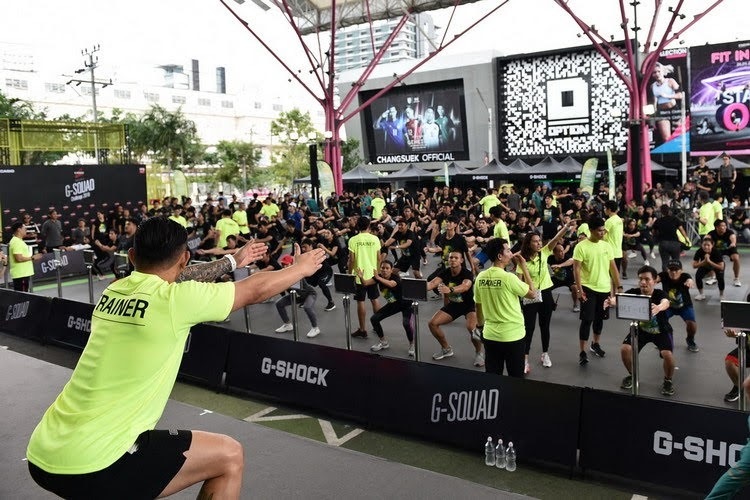 The “G-Shock G-Squad Challenge 2018” brought fun, excitement and a healthy workout to the great number of fitness lovers present. 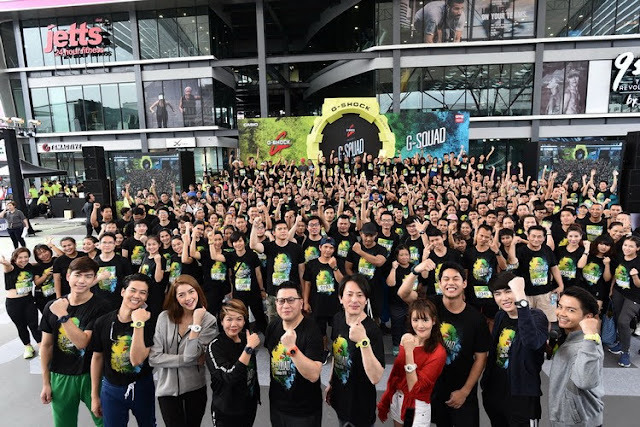 The event took place recently at the Stadium One. Don’t forget to check out the Activity Tracker G-Shock G-Squad series, now available in all Casio shops. 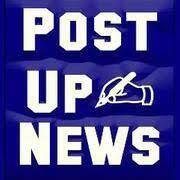 For more information, please browse to our Facebook Fanpage: CASIO watches Thailand.